Votives are decorative items that are used in homes to intensify the beauty of the room. It adds an appeal to your living room and makes it look attractive. 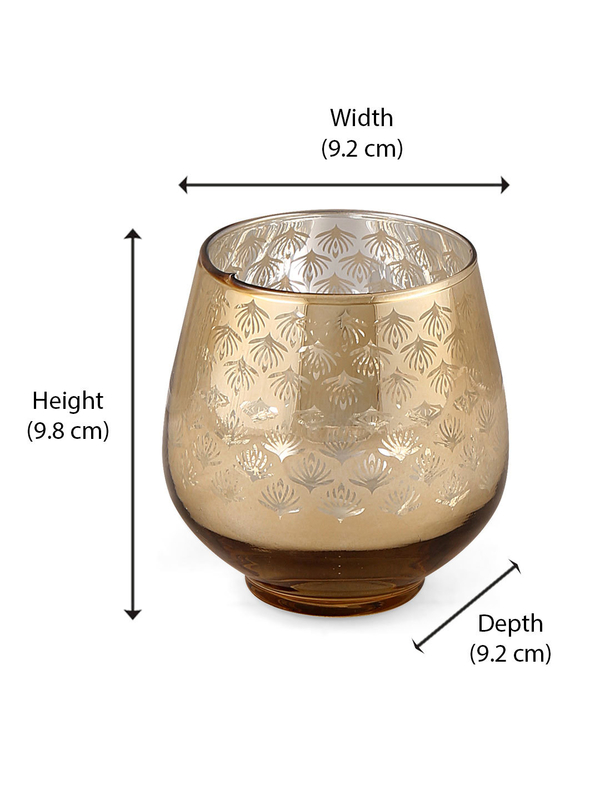 Illuminate the beauty of your homes with Ambient Geometric Votive Bowl Set of 2 in an authentic royal shade of gold. These bowls are made up of good quality polyresin and so, is reliable and durable. Decorate your high-end showcases and tables with these gorgeous votives and enhance your lavish lifestyles. These beautiful art pieces are ideal options for gifting purposes as a token of love. These can be used for decorations in homes, offices, studios, hotels, etc. Beautify your living space with these artistically crafted items by @home.